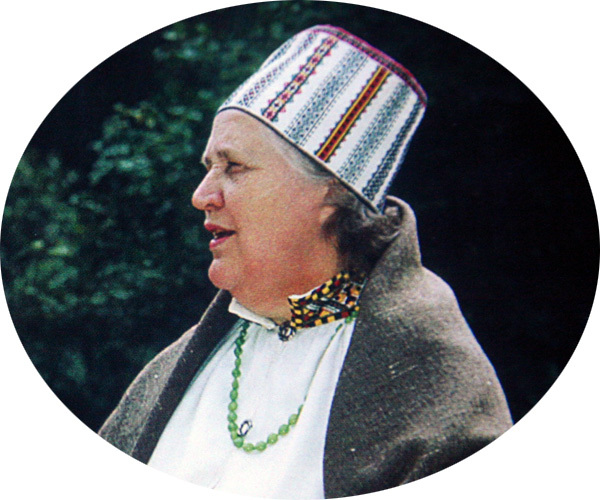 The region, to which this women’s headdress pertains is western Vidzeme, the central part of Latvia. 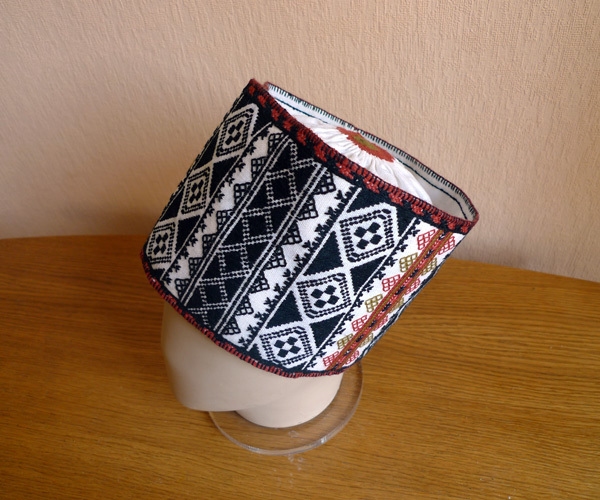 The form of the hat is rather curious: actually it is a long cotton cylinder stitched on top and folded in half. 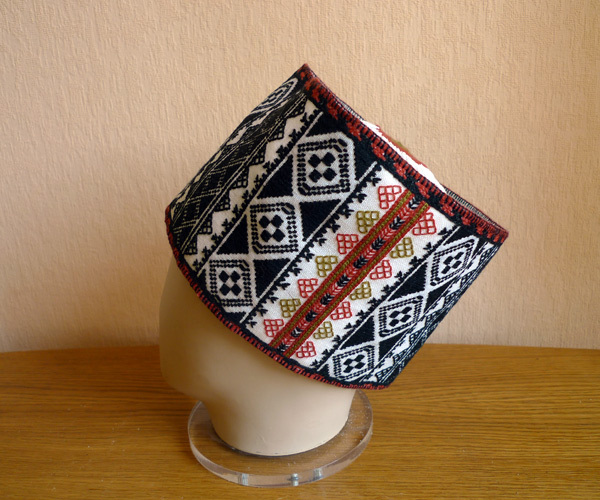 The inner walls are white and the exterior walls are elaborately embroidered with multicolored silk thread. Such cepures could have been worn by married women of wealthy families, while the poorer peasant women wore simple linen bonnets. In addition, the hat’s height may vary, reaching 25 cm, but it is still not yet your Breton half-meter Bigouden.